Happy Monday, all! I had another kid activity & errand filled weekend, and the weather here in Florida was a bit warm but beautiful as usual. My girls are having leftover homemade Pad Thai today for lunch. 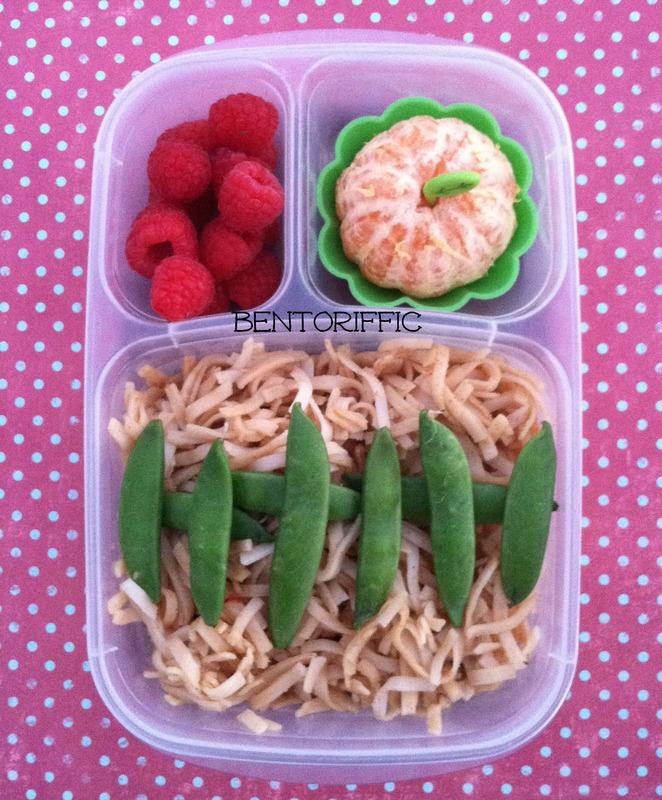 Miss G has an Easy LunchBoxes container full of rice noodles with homemade sauce topped with sugar snap peas. At the top left are organic raspberries and at the top right is a peeled clementine. We’re accustomed to using almond butter in place of peanut butter almost 100% of the time. It just makes it easier to have peanut-free lunches if I decide to send leftovers. We don’t have a peanut allergy, but since it’s so common both schools are peanut free. If your child’s school is nut free, there are great soy butter and sunflower butter alternatives that you can use in your cooking and baking. I use the Happy Herbivore’s “Cheater” Pad Thai sauce recipe. 1/4 tsp hot sauce, or to taste (for the kid version, I do not add hot sauce. I usually top this off with mung bean sprouts, snow peas or sugar snap peas and sometimes broccoli or carrot slices. My kids love it! 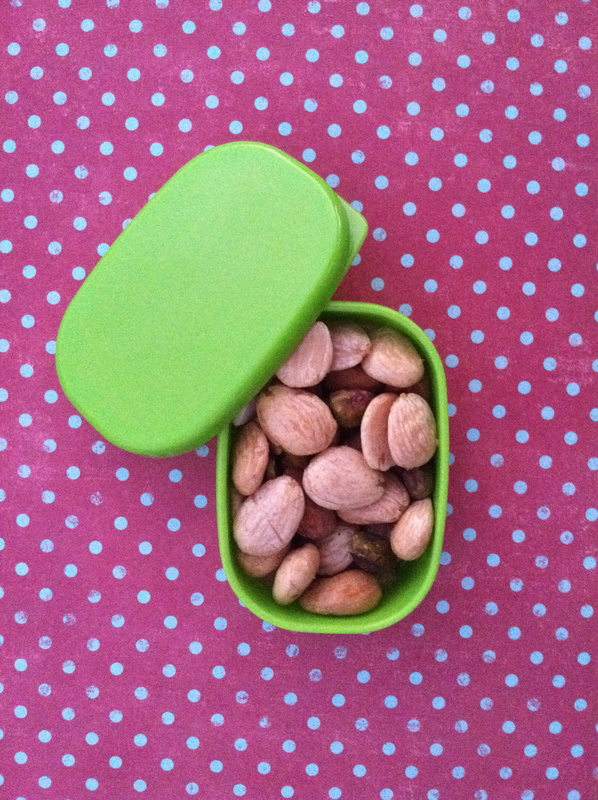 For her morning snack, Miss G (4 ) has marcona almonds, cashews and dried cranberries in a small snack bento. For her afternoon snack I grabbed a LunchBots Duo and filled it with fresh, organic fruits & veggies. 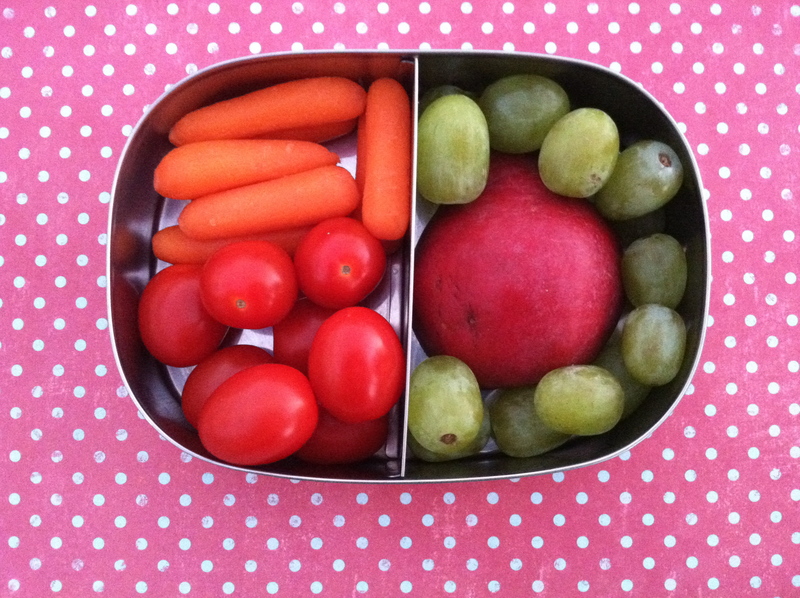 On the left are grape tomatoes and mini carrots and on the right is a halved pear and green grapes. Little Miss A (2) has the mini Pad Thai version of the same lunch in her LunchBots Quad. 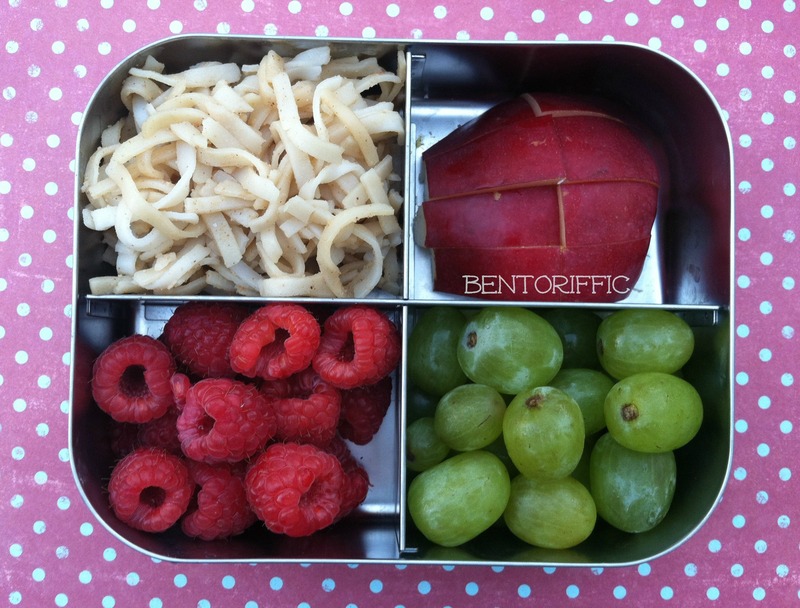 From the top left are rice noodles with pad Thai sauce, a sliced pear at the top right, green grapes and raspberries. Both girls always have ice water with their lunches.